When it comes to a filmmaker’s interpretation of therapy, it can be tempting to skew a realistic portrayal in favor of a more…artistic choice. But when a film manages to capture the essence of therapy spot-on (without sacrificing the rest of the plot), it merits a solid mention and some well-deserved praise. Such is the case for the recently released coming-of-age drama out of India, Dear Zindagi. 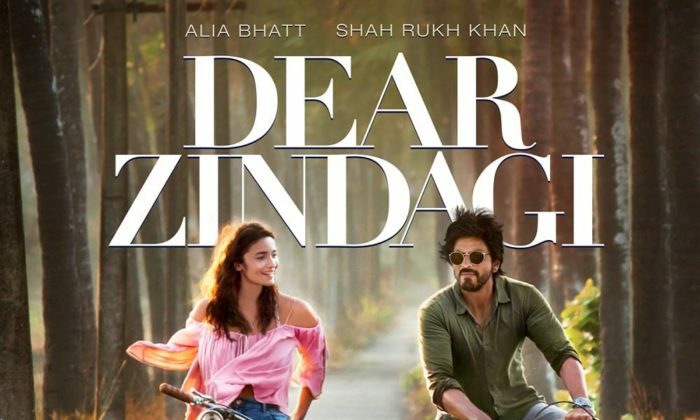 Reviews for Dear Zindagi have, admittedly, been varied, but it’s the film’s portrayal of psychotherapy that is noteworthy, especially considering the country of origin. India has a solid reputation of stigma when it comes to mental illness and maintaining mental wellness; mental illness is the most common disorder in the nation with at least 60 million Indian citizens struggling daily — but with only one in 10 receiving treatment. A Lancet study estimated that “31 million years of healthy life” were lost to mental illness in India in 2013. There are a meager 0.3 psychiatrists per 100,000 people in India, and the topic of mental illness is still incredibly taboo across the country. India spends only 0.06% of its health budget on mental healthcare, and the numbers of those struggling with mental illness continue to rise yearly. But in a positive turn, The Mental Health Care Bill–which protects the rights of those seeking mental healthcare–was passed unanimously in the Rajya Sabha (the upper house of the Parliament of India) this past August. A mainstream Hindi movie describing the key stages in psychotherapy, in a relatively non-clichéd manner, is novel and necessary in today’s mental health dialogue. … Using the assistance of several metaphors, the movie does justice to this intimate and unique relationship. … Psychotherapists help clients help themselves get up. Get back into their lives. Deal with their problems. The notion of therapists giving “advice” and clients being unable to function without consulting their therapists for every decision is a myth. Dear Zindagi has helped communicate that the therapist is a catalyst for the client, not an all-knowing solution-finder and -giver. Clients are helped to help themselves. An open, accurate, and honest portrayal of a person working to maintain mental wellness is indeed to be applauded in this instance — especially when the film’s country of origin struggles so greatly with helping its citizens develop a healthy attitude towards mental health. Dear Zindagi was released in North America on November 23, 2016, and is currently playing in limited release across the United States and Canada.